You, guys! I absolutely LOVE this die set from the September Kit! For REALS! It is just too much fun! And it combines perfectly with the stamps, of course! This is Jennifer Ingle here with you showing you another super fun way to use your September Embellishment Kit! 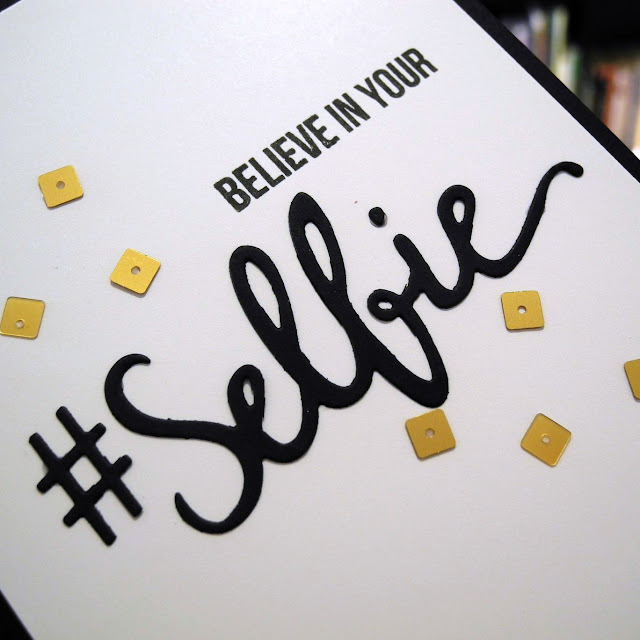 To create this one, I stamped the 'Believe in Your' and then adhered the hashtag and the selfie die cuts. 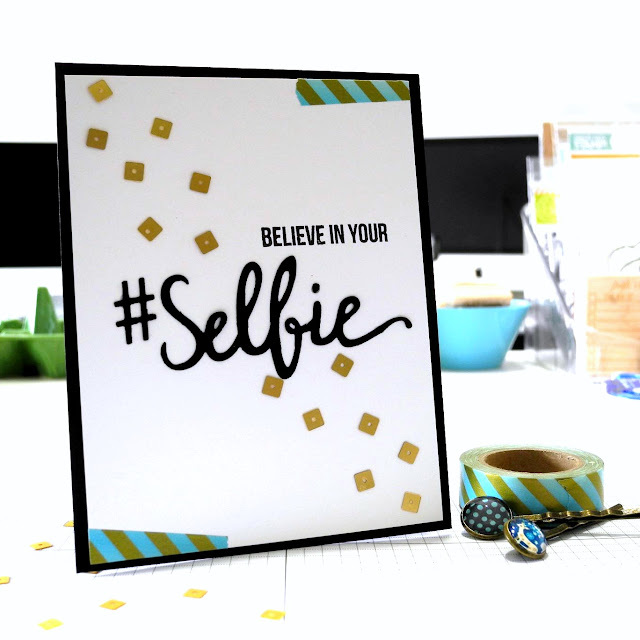 A few of the super fun square sequins add visual interest and texture to the card. I then used the fabulous washi tape for just a touch of color! I hope you are having a BLAST with your September kit! It really is such a fun one! I know I love mine!